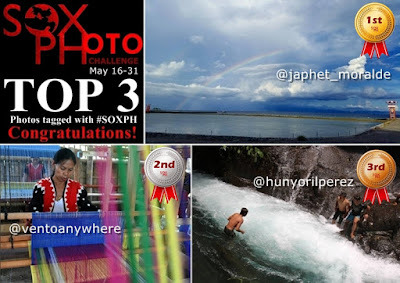 A total of 121 photos tagged with #SOXPH were shared on Instagram from May 16-31, 2016. Below are ten (10) photos that really caught our attention.. congratulations to our Top 10 entries! Keep sharing the best of SOX to the world.. use our official hashtag #SOXph on Instagram when sharing pictures taken anywhere in SOCCSKSARGEN!